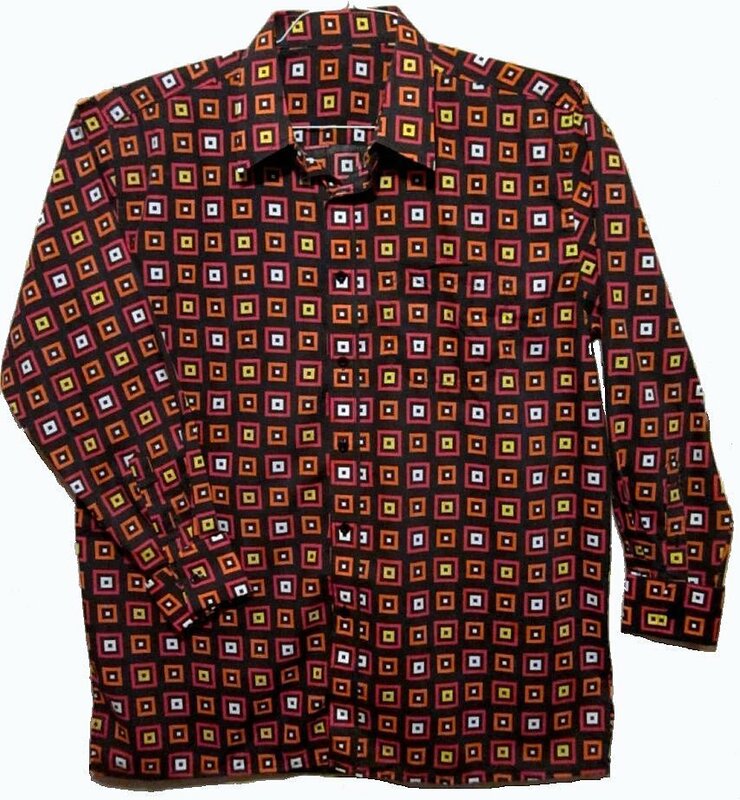 This reproduction disco shirt has a faded black background that is covered with true red (not pink), dark orange and dark yellow squares. It's a little loud and a lot garish, but I'm not a fan of the color, red. It's a perfect pairing for Red or Orange Polyester 70s pants. The shirt is a cotton look with a cotton polyester blend. It's very sturdy. It is 2 - 3x fit as it is 56" around at armpit level for a 50 chest fit. It has an approximate 34.5" sleeve length from the neck base. The shirt's length is a long 36". Machine wash inside out. Hang Dry. If wrinkled, steam or iron. This is a never worn reproduction shirt. Sturdy.